Iron is a very crucial component of hemoglobin, which is a substance in the human blood cells. Hemoglobin is responsible for carrying oxygen from your lungs to the various parts of your body. Almost two-thirds of iron in the human blood is represented by hemoglobin. This simply means that if your body lacks sufficient amount of iron, it will fail to produce sufficient number of red blood cells in order to carry oxygen to different parts. This signifies that you suffer from iron deficiency anemia. Iron is included in various health supplements in different quantities. Similarly, there are several types of iron supplements in the market. Just like any other health supplement, choosing the best iron supplement also means going through a lot of information, which can be a challenging task for any person. It is essential for you to note that your iron count should be drastically low in order to start having an iron supplement on a daily basis. Doctors recommend iron pills to breastfeeding and pregnant women. Even if you suffer from some type of cancer or ulcer or even from tinnitus, doctors will prescribe iron pills for you. Iron is rather useful for your overall health in several ways. First of all, iron helps your skin to get its natural glow. If you suffer from anemia, your skin will automatically come up with dark circles. The skin itself will also turn pale in color. This is caused due to a shortage of hemoglobin in your blood, which gives rise to low RBC counts. Low hemoglobin will also mean oxygen shortage to your skin, which will make the skin lose its natural color. Secondly, the process of wound healing speeds up if you have iron supplements. High level of iron in your blood will result in high level of RBCs. This will, automatically, enhance the oxygen supply to various parts of your body and quicken the process of wound healing. Tests have also proved that iron plays a significant role in reducing hair loss, which is a common sight in this hectic life. This is especially serious in women. According to dermatologists, shortage of iron in the blood can give rise to hair loss. This is especially true in non-menopausal women. Low iron in the blood can also make your hair lose its shine and look dull. Once the iron count improves in your body, it will boost the oxygen supply to the hair follicles that will improve the texture and quality of your hair. According to several experts, loss of appetite can also be a result of a shortage of iron in your body. If your child eats in small quantities, it may be due to a shortage of iron in the blood. Use of an iron supplement may help the child regain his normal appetite and grow faster than before. At the same time, loss of energy is also caused due to iron deficiency. If you often feel tired or feel like lying down on the couch in between work, then trying a good quality iron supplement may prove to be rather helpful for you. Proper iron level in your body will naturally boost the oxygen supply in your body, including the brain. This will boost your physical performance and enhance your mental alertness. Iron deficiency may make you irritable, inattentive, and even tired all the time. Before you decide to choose an iron supplement for yourself, it is essential for you to ensure that the product is free from any type of artificial ingredients and filler, as well as find out about any possible iron supplement side effects. Here are some points you should keep in mind while searching for the best iron pill or liquid iron. Whatever supplement you choose to have, it is essential that the product contains natural ingredients. Similarly, iron supplements should contain whole food iron along with whole food vitamins. If the iron pill you choose to have does not contain any form of flavors, artificial fillers or binders, and additives, it will benefit your health. There should not be any form of dairy products or gluten in a good quality iron supplement. Any recommended iron supplement for anemia should contain whole vitamins B12 and C.
Simply having an iron supplement is not enough. Some of the best iron supplement for anemia contains folate that helps the iron to get absorbed in your blood. If you have recommended iron supplement dosage, it can help boost the immune system of your body. Good quality iron supplements will not cause any type of tummy upsets or diarrhea and are easy to swallow without any bad taste. A popular and recommended heme iron supplement will help in the formation of healthy reproduction in a female along with faster and proper structure of red blood cells. We have made a list of some of the top-rated iron supplements that you will find quite useful for your entire health. 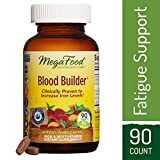 The best part about MegaFood Blood Builder is that it does more than simply acting as a major source of iron for your body. 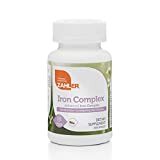 Zahler’s Iron Complex comes with Ferrochel and Vitamin C to maximize bioavailability and to create a suitable environment for the red blood cells and hemoglobin to produce properly. The Pure Micronutrients Iron Plus Supplement is designed to help you feel energetic throughout the day and it contains ferrous chelate, vitamins C, B12, B6, and bisglycinate 25mg that also help to boost your cognitive levels. Garden of Life Iron Complex comes with folate that helps in the absorption of iron in your blood and utilization of the absorbed iron. Your entire digestive system also gets a boost due to the presence of probiotic and enzyme mix. The Ferrets Iron Supplement comes with a massive iron content of 106mg that makes it suitable for those of you who suffer from extreme anemic conditions or severe iron deficiency in your body. Rainbow Light Complete Iron Supplement is basically a plant-based product that helps your body get its supply of iron. It helps to boost the natural immune system of your body and does not cause constipation. The Thorne Research Iron Bisglycinate is aimed at people who suffer from iron deficiency. This is why the manufacturer utilizes chelated iron in a highly bioavailable form for this product. The Pure Encapsulations Iron is tested and certified by a third party lab. It contains added vitamin C that helps in the absorption of iron in your body. This iron supplement is completely chewable and it also contains vitamin C in addition to various other nutrients. Some of the natural ingredients include rose hips, herbs, raspberry leaves, and beetroot. The Solgar Gentle Iron, available in a 25mg bottle, is suitably designed for women. It fulfills the needs of a woman’s body and tests have revealed that it does not cause constipation and is gentle on the stomach. The best part about MegaFood Blood Builder is that it does more than simply acting as a major source of iron for your body. It enhances blood circulation, boosts the production of red cells, and also increases iron percentage in your entire body. As a result of this, you naturally feel more energetic and the level of oxygen circulating in your blood also increases. This also helps your brain to think at an optimum level. MegaFood Blood Builder does not cause any harm to your stomach and it contains organically grown oranges that are picked from the farm. The inclusion of vitamin C helps your body absorb the iron provided by the supplement. Can easily be consumed on an empty stomach. Contains vitamin C to boost absorption. Contains various potential allergens such as gluten, dairy, and soy. Zahler’s Iron Complex comes with Ferrochel and Vitamin C to maximize bioavailability and to create a suitable environment for the red blood cells and hemoglobin to produce properly. According to the manufacturer, this iron supplement does not cause any type of constipation and is very easy on your stomach. Although the product is manufactured in a NNFA, NSF, and GMP facility, the manufacture does not claim that it is completely free from gluten and other types of allergens or additives. In fact, Zahler’s Iron Complex does contain certain ingredients that may cause reactions in some users. Does not cause any constipation and is pretty easy on your stomach. Zahlers Iron Complex contains both Ferrochel and vitamin C in order to boost bioavailability. Other crucial ingredients found in the supplement include folic acid, vitamin B12, and L-Histidine. 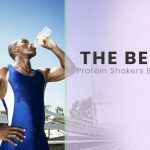 It also contains BCAA or Branched Chain Amino Acid. This iron supplement is not certified to be free of soy, lactose, and gluten. It also contains rice flower and magnesium stearate. If you often feel tired after a few minutes of walking or feel as if you need to rest on the couch, look no further! 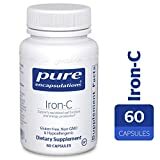 The Pure Micronutrients Iron Plus Supplement is designed to help you feel energetic throughout the day and it contains ferrous chelate, vitamins C, B12, B6, and bisglycinate 25mg that also help to boost your cognitive levels. 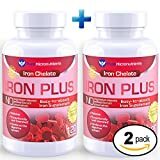 The ingredients in this iron supplement help to produce red blood cells in your body and is recommended for people suffering from anemia and low iron. Tests have been made and the results prove that the Pure Micronutrients Iron Plus Supplement is easy on the stomach and does not cause diarrhea or constipation. It does not leave behind any foul aftertaste once you have the pill. The iron supplement is free from any type of genetic modifications, gluten, artificial colorations, dairy fillers, and magnesium stearate. If you are allergic to any of these ingredients, then you can safely have this iron supplement. It is highly recommended for pregnant women and the ingredients of this iron supplement ensure a healthy gestation period for both mother and baby. The iron supplement is friendly to your stomach. Causes of diarrhea and constipation upon regular consumption of the pills is practically nil. It is free from gluten, artificial colors, dairy, magnesium stearate, GMOs, and fillers. It is extremely safe for expecting mothers. Comes with folic acid, Vitamins B6, B12, and C.
As far as flavors are concerned, there are not much of an option. Simply consuming an iron supplement to increase the quantity of iron in your blood is not sufficient. The consumed iron also needs to get absorbed in your system in order to give you positive results. 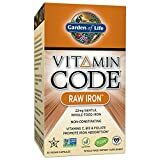 Keeping this in mind, Garden of Life Iron Complex comes with folate that helps in the absorption of iron in your blood and utilization of the absorbed iron. Your entire digestive system also gets a boost due to the presence of probiotic and enzyme mix. The Garden of Life Iron Complex is aimed at boosting your energy level and also supporting your heart health along with your eyes and blood. It also enhances the natural immunity of your body and the overall mental and physical health improves with time. Even if you are allergic to dairy fillers or binders and gluten, you can safely consume the supplement due to the absence of such ingredients. The product is designed in such a way that your body gets everything that it needs to lead a healthy life. Folate content in the Garden of Life Iron Complex helps in the absorption of iron in your body. The iron supplement also contains an enzyme mix and probiotics to help in your digestive system and improve it. It is completely free from any type of fillers or binders, and gluten. It does not cause weakness in your body and you do not feel nauseated at all. The price of the Garden of Life Iron Complex is comparatively higher than most other iron supplements available in the market. The Ferrets Iron Supplement comes with a massive iron content of 106mg that makes it suitable for those of you who suffer from extreme anemic conditions or severe iron deficiency in your body. The high dose of iron is derived from ferrous fumarate and the pills are quite small in size, which makes it very simple for you to swallow it. 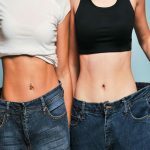 The supplement is also free from gluten and dye and tests have revealed that it is easy on your stomach. However, Ferrets Iron Supplement does come with certain additives, which includes stearic acid, cellulose, silicon dioxide, croscarmellose sodium, ethyl-cellulose, and magnesium stearate. The bioavailability factor is also missing from this product due to the lack of other types of minerals and vitamins, include vitamin C. This means that you will have to consume this supplement with orange juice. The iron content in the Ferrets Iron Supplement is pretty high at 106mg. The size of the pills are quite small that helps you have it with ease. It is free from gluten and any type of dye. The price of the supplement is quite affordable. It does not contain any added vitamin C.
Rainbow Light Complete Iron Supplement is basically a plant-based product that helps your body get its supply of iron. It helps to boost the natural immune system of your body and does not cause constipation. The inclusion of plant-based ingredients makes it gentle on your stomach. It also contains raisin powder, prune, and fig, which helps to avoid any type of stomach problems. These ingredients also help your body to digest the supplement easily without giving rise to constipation. It is absolutely free from gluten, sugar, artificial flavors and colors that makes it suitable for vegans. It also contains added vitamin C that reduces the need for you to have orange juice along with the supplement. There have been several tests on this product and the results prove that users do not feel nausea or constipation. It is also completely safe for lactating mothers. 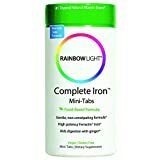 Your search for a gluten-free and vegan iron supplement comes to an end with the Rainbow Light Complete Iron Supplement. The Rainbow Light Complete Iron Supplement is a plant-based product which makes it completely natural. It contains fig, raisin powder, and prune that do not cause constipation. It is completely gluten-free and suitable for a vegan to consume. It does not contain sugar, artificial colors, and artificial flavors. It also contains vitamin C.
The price of the Rainbow Light Complete Iron Supplement is on the higher side. The Thorne Research Iron Bisglycinate is aimed at people who suffer from iron deficiency. This is why the manufacturer utilizes chelated iron in a highly bioavailable form for this product. The sole intension of this formula is to counteract the negative effects of iron deficiency in your body. If you suffer from this problem you will often feel weak, tired, shortness of breath, and tinnitus or a ringing sensation in your ears. 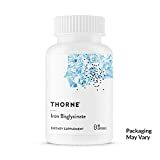 Several tests are conducted on the Thorne Research Iron Bisglycinate and various types of certifications are made before it is ready for you. The iron supplement is also made in GMP facilities. 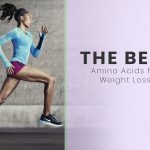 NSF has certified the product to be safe for consumption by athletes, which proves that it does not contain any type of stimulants or unapproved ingredients that may cause harm to an athlete’s health and mind. However, it is not designed for breastfeeding or pregnant women. 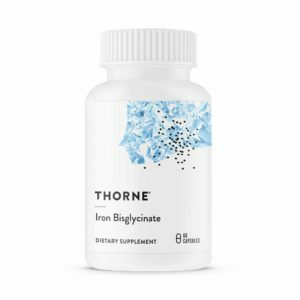 The Thorne Research Iron Bisglycinate is especially formulated for those of you who suffer from iron deficiency. It does not contain gluten, any type of preservatives, wheat, stearates, soy, eggs, corn, barley, rye, dairy, nuts, sugar, and yeast. The product is also certified by NSF for sport. It does not contain vitamin C.
Your time dictated and stringent lifestyle must be draining out all your energy by the end of the day. It is essential to have a proper iron supplement to help you carry along with a suitable level of energy. The Pure Encapsulations Iron, made with all the raw ingredients helps you in such matters. It is free from any type of artificial colors and sweeteners and does not contain gluten, eggs, peanuts, wheat, hydrogenated fat, and magnesium stearate. The Pure Encapsulations Iron is tested and certified by a third party lab. It contains added vitamin C that helps in the absorption of iron in your body. If you are allergic to anything, this iron supplement can be a good choice and it is also suitable for vegans. The Pure Encapsulations Iron is entirely sourced from raw ingredients. It is absolutely free from gluten, peanuts, eggs, and wheat. It also lacks magnesium stearate, artificial colors and sweeteners, as well as, hydrogenated fat and GMOs. It has been enriched with vitamin C.
The product has been tested by a third party. The price of the Pure Encapsulations Iron is also quite high. The taste of the product is the primary factor that attracted most of the users. Apart from supplying your body with iron, it also helps to boost your energy levels. 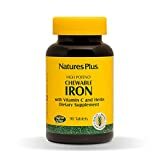 The Nature’s Plus Chewable Iron is completely natural and is composed of natural ingredients. It includes raspberry leaves, beetroot, and rose hips. The taste of the iron supplement is pretty nice. There is no reports of constipation after consuming this product. The texture of the Nature’s Plus Chewable Iron is chalky. The bodies of a man and a woman are different in several ways. Similarly, the requirements of various types of nutrients also vary between them. The Solgar Gentle Iron, available in a 25mg bottle, is suitably designed for women. It fulfills the needs of a woman’s body and tests have revealed that it does not cause constipation and is gentle on the stomach. However, the lack of several essential nutrients such as folic acid makes it not suitable for pregnant women. Possible side effects are also few as compared to other types of iron supplements at stores. The Solgar Gentle Iron is especially made for women. It does not cause constipation nor does it cause your stomach to get upset. It is absolutely free from soy, dairy, gluten, yeast, sodium, GMOs, preservatives, sweeteners, and sugar. It is completely suitable for vegans. The Solgar Gentle Iron does not contain vitamin C for bioavailability. It also lacks the different types of B vitamins and folic acid that are suitable for pregnant for women. It is true that iron is present in a well-balanced meal. 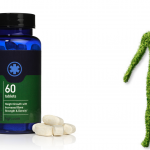 However, there may be several reasons due to which you may decide to choose a suitable iron supplement for yourself to improve your overall health. None of the iron supplements act like magic and give you results overnight. These take time and you should feel significant effects on your health after approximately a few weeks. However, there may be some cases wherein people have felt improvement within a few days. If you choose a supplement that does not come with the guarantee of being easy on your stomach then you may experience nausea and stomach discomfort after having such iron pills. Apart from curing any ailment with the help of iron supplements, these can also help you feel more alive and awake. You will also be able to operate and function at a higher mental capacity.